When: Tue., April 30, 6-9 p.m. and Tue., May 28, 6-9 p.m. 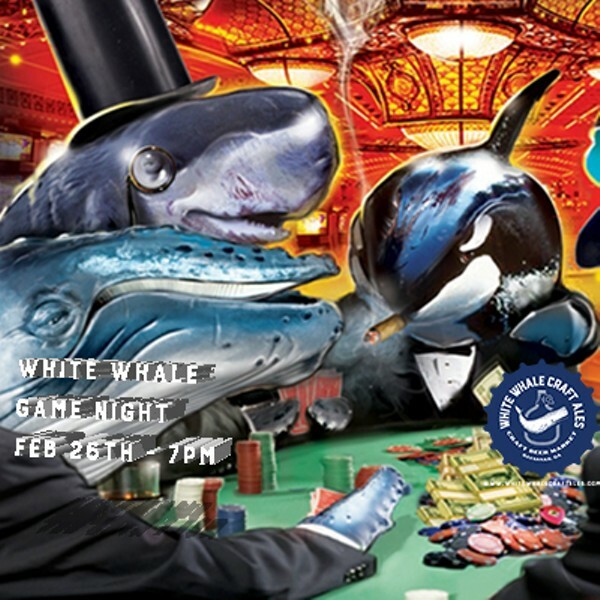 The Last Tuesday in every month, we will be hosting the White Whale Game Night!!! A night of your favorite board and card games... And we're taking any / all suggestions as to games; traditional, obscure, silly...you name it, we'll gather up a room full of craft beer nerds and play it. Got a good group game? Bring it in! Each night will have a beer special paired with it.